Christmas season is always about white , warmth and austere visuals. Custom 5x 7 cute town at Christmas season wedding save the date square corner magnets truly embody the spirits of an austere Christmas season. 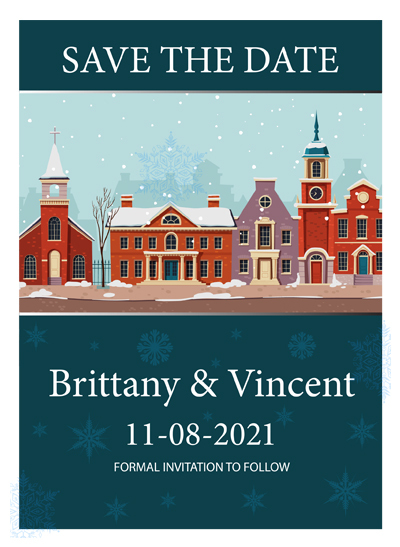 Personalized 5 x7 inch cute town at Christmas season wedding save the date square corner magnet also doubles up as a season’s greetings. Thus people will always retain it over their refrigerator doors in memory of the double joyous occasion. Product Size: 7 in. x 5 in.